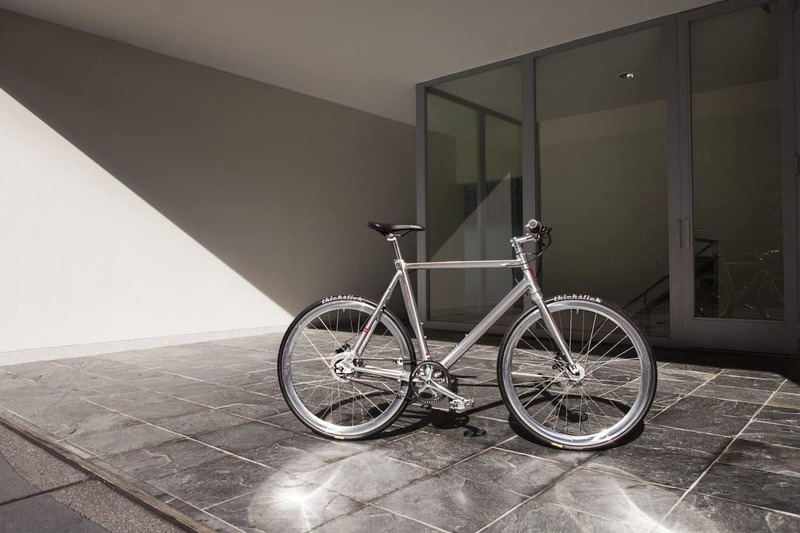 The new addition to the Lekker Bikes collection is called the Amsterdam Elite NuVinci. An urban commuter bike that is ready for anything. The full aluminum frame body is added with the award winning NuVinci N330 hub in combination with a belt drive system. This fantastic bike was designed by the Lekker Bikes team in cooperation with the ingenious guys from NuVinci. After careful planning we designed a bike based on our proven Amsterdam series. We wanted to create a bike that was riding very smooth and that you could take to work every day, the ultimate commuter. With the unique NuVinci system the Amsterdam Elite can change the gear ratio between the pedals and rear wheel in one continuous motion. The top of the line C8 controller features an aluminum housing, a new display and an enhanced grip. Just twist the shifter slightly on the handlebar and the gear ratio is changed to any ratio within its range. The feeling of step-less shifting and the simplicity of this way of shifting makes it a supreme cycling experience. This in combination with the self-contained systems of the N330 makes it practically maintenance free. The Amsterdam Elite is fitted with the Gates Carbon Drive Belt drive system. Created with stretch-free carbon fiber tensile cords. You can imagine the advantages compared to your regular bike chain, rust free and no dirt on your chain. This technology allows the belt to be weather resistant, flexible and durable. Besides it stunning looks it’s has hydraulic disc brakes from Shimano to give you enough power to stop at any given moment. Hydraulic disc brakes offer superior braking performance in all conditions, including rain. In addition, a well-designed disc brake can dissipate heat better than a normal rim brake as heat from braking is transferred to the disc rotor, rather than into the rim of the wheel. To give the Amsterdam Elite NuVinci even more durability it’s also equipped with Thickslick sport tires. These tires are built to withstand the harshest and uneven roads that you can think off. ThickSlick tires feature twice the protection of a standard rubber casing tire. Built to last! You can find the Amsterdam Elite NuVinci for AUD 1598 in Australia and for €1100 in Europe, in the frame sizes 52cm and 58cm. For a test ride or advice on which size is perfect for you stop by in one of our brand stores in Melbourne, Sydney or Amsterdam. You can also try our online chat for a quick reply.